Home Samsung Electronics Samsung Galaxy C9 Pro Smartphones Samsung launches the Galaxy C9 Pro with 6GB RAM in the Philippines, Priced at P27,990! Samsung launches the Galaxy C9 Pro with 6GB RAM in the Philippines, Priced at P27,990! – at work or at play. This will also be coming with a 64GB internal memory. 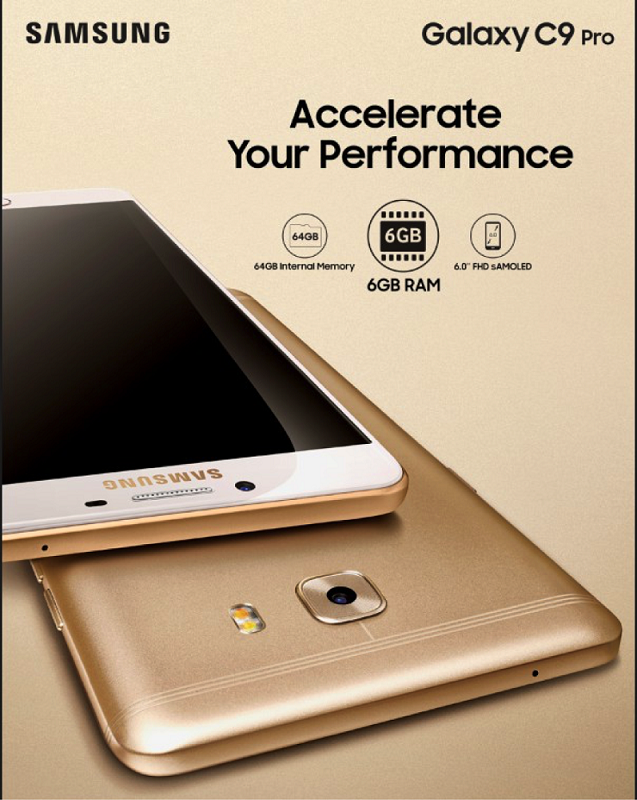 Just as it ramps up your productivity, the Samsung Galaxy C9 Pro also lets you enjoy life’s greatest moments. It comes with a 16MP front camera, combined with an F/1.9 aperture lens for both the front and back camera, which guarantees clear images even when taken in low light conditions. This is definitely the perfect device to up your selfie game, letting you take double tap-worthy photos that you can quickly upload online for your friends to see. Purchase the Samsung Galaxy C9 Pro at Samsung Experience Stores, official retail partners, and online via Lazada starting April 22, 2017, and get a FREE Level U Pro worth P3,099 SRP. You may also avail 0% installment up to 24 months (BDO/Citibank Cards only) in our Samsung Experience Stores or up to 0% for 12 months for all credit cards nationwide.